Is there a better alternative to Kala Time Tracking? 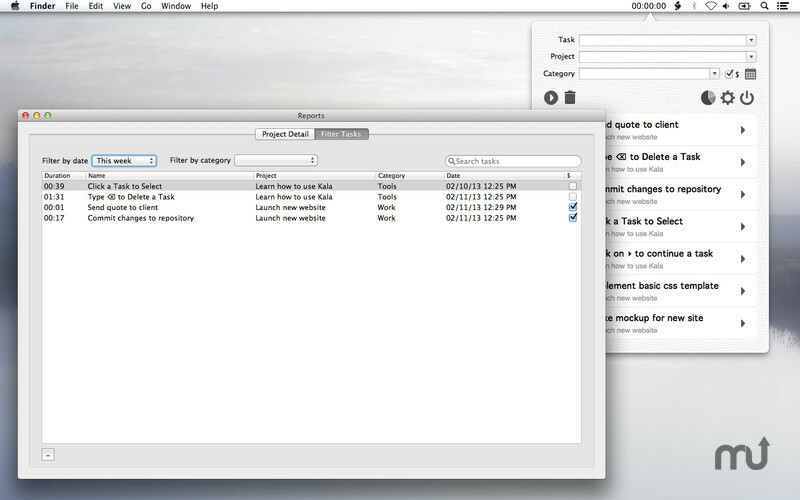 Is Kala Time Tracking really the best app in Productivity category? Will Kala Time Tracking work good on macOS 10.13.4? 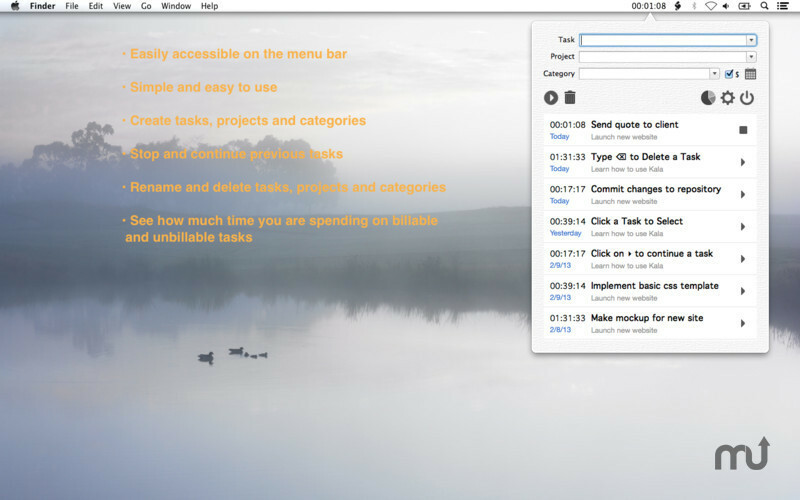 Kala is a simple and powerful time tracking that is always available in your menu bar. 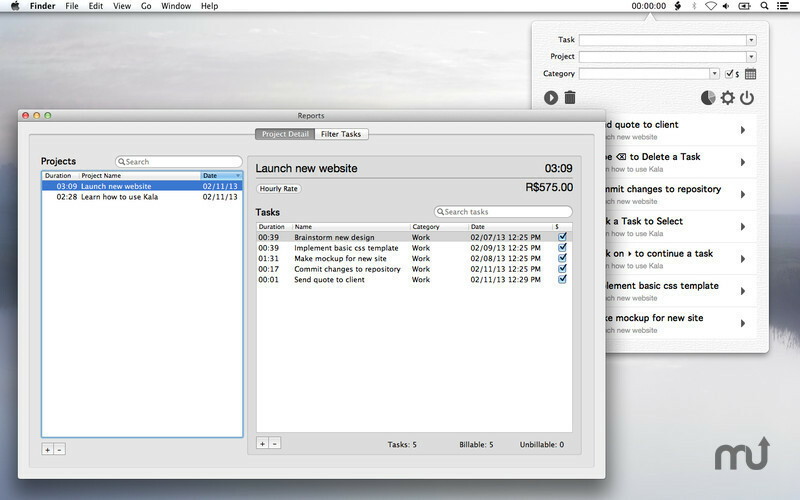 No need to move the focus from the application you’re using; just glance the menu bar to check the elapsed time. And since you don’t have to switch applications your productivity will increase. Kala Time Tracking needs a review. Be the first to review this app and get the discussion started! Kala Time Tracking needs a rating. Be the first to rate this app and get the discussion started!